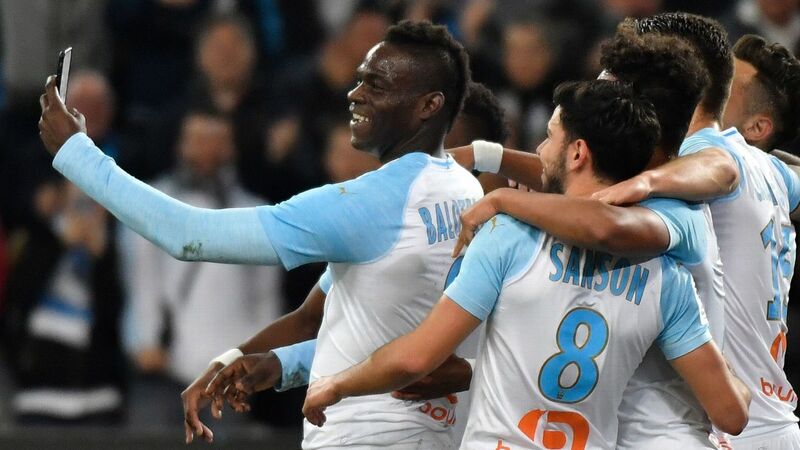 Mario Balotelli scored a superb acrobatic volley in Marseille's 2-0 Ligue 1 win over Saint-Etienne on Sunday and celebrated by recording an Instagram Live video. The Italy international's goal and Florian Thauvin's penalty gave Marseille a win that lifted them above their visitors and into fourth place in Ligue 1. Balotelli held off Loic Perrin and twisted to volley home from a corner in the 12th minute, celebrating by grabbing a phone from a journalist in the Stade Velodrome to record the moment. Two Ligue 1 matches have been postponed at the request of authorities. Nice's home game against Saint-Etienne on Friday and Saturday's match between Nantes and Montpellier will be played at a later date. The French league says the reason for both cancellations is because police forces are being stretched.